No contracts, No surprises, No hidden charges, No worries! Includes everything mentioned above plus netting. We use a fine mesh scoop net to clear debris off the surface. Includes everything in the regular service plus vacuuming & netting on a bi-weekly basis. Includes everything in the basic service plus vacuuming & netting on a weekly basis. *We offer bi-weekly services for salt pools and pools in the colder months... call for details. 1. Pool service is on the same day each week - typically by the same technician. We have great reviews because we pay attention to the needs of our customers. 2. Sign-in Sheets are left on location and complete service records are kept on file. Therefore, you will always know exactly when your pool was serviced and what was done. 3. Professionally trained pool technicians with years of experience. 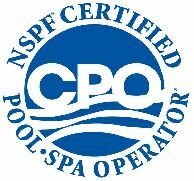 We are licensed (CPO) and insured to service all kinds of pools. Furthermore, we do all aspects of pool repair so there's no need to find another company when pool equipment breaks. 4. Competitive Prices (and easy methods of payment). We accept cash, check and credit. And we never "sneak in" extra charges. Your prices is what it is and if there is ever an issue, we will notify the customer first before doing any repair. The chemicals you put in your pool are poisonous. If you don't know what you are doing you can harm yourself and damage your pool. 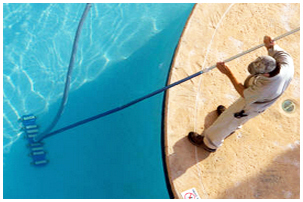 Our technicians are highly trained and certified by the state to service pools. We maintain the water chemistry according to state regulations. Therefore, we can guarantee that your pool will be a pleasure to swim in and completely safe for the whole family. "I am so thankful we found Viking Pool Service. They are knowledgeable, professional and do outstanding work. Their team is very friendly and I never have to worry about my pool. I highly recommend this company to anyone that needs pool service"